There’s no better way to experience everything earth has to offer than strapping on a pair of hiking boots and hitting a mountain trail. The great thing about trekking is that it allows you to fully immerse yourself in your natural surroundings and appreciate all it has to offer. Ok, maybe I’m sounding a bit philosophical but if your willing to sweat it out, you’ll reap the rewards. 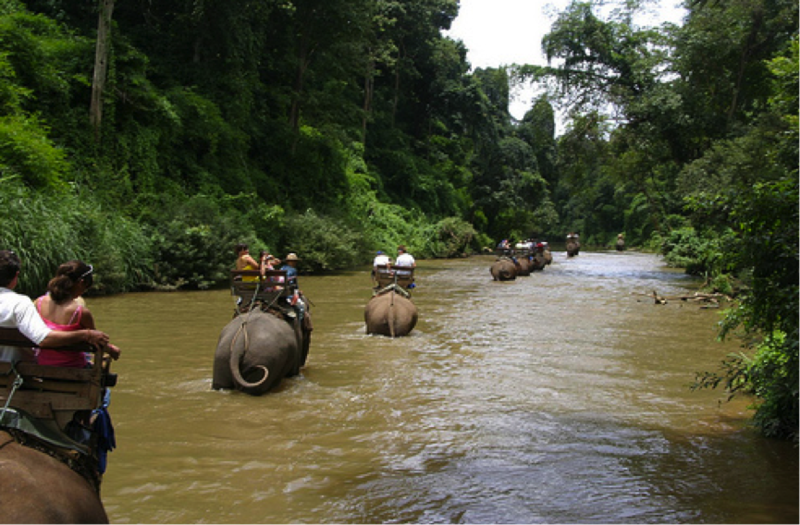 One of the best places to trek in South East Asia is Northern Thailand. Ancient hill tribes, bamboo raft trips and tasty jungle cookouts are just a few of the delights that trekking in North Thailand has to offer. If you’re looking to organise the best trekking experience in North Thailand check out AdventureHoney’s 2 day hill tribe trek. Breathing underwater, a completely foreign concept to most of us. “Leave that to the fish!” some may say. But there’s a whole new world that lies beneath and amazing adventures to be had exploring it! Obviously, scuba diving is the perfect way to do this. You don’t need the swimming skills of a fish to get involved in this beautiful adventure sport. All you need is an appetite for adventure and a trustworthy dive operator. 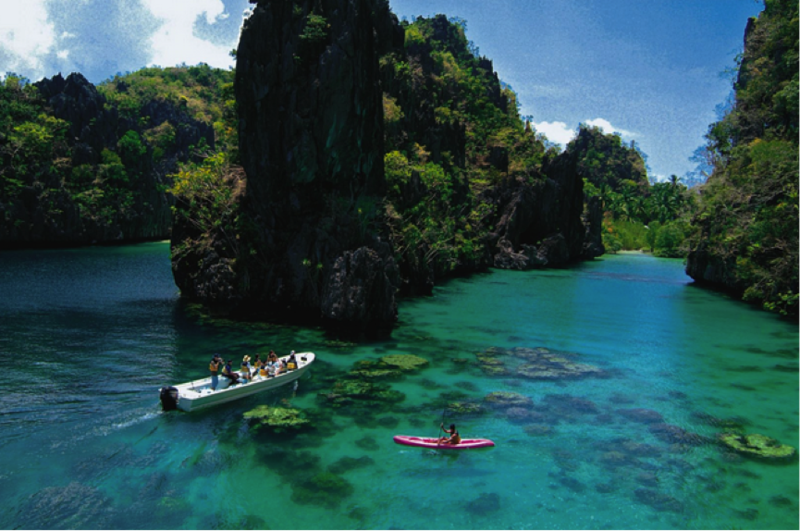 With some of the best diving in South East Asia, the Philippines is the perfect place to explore the deep blue seas. AdventureHoney can arrange top of the range scuba certification courses in the Philippines that will have you exploring the oceans depths before you can scream SHARK! When I decided to write an adventure travel blog post about the four elements, I knew that fire was going to be a tricky one. I couldn’t exactly suggest that members of the AdventureHoney community try lighting themselves on fire for an authentic adventure travel experience! And then it struck me, hot air balloons! Fuelled by a powerful gas flame these monsters of aviation are often dismissed as a boring activity reserved for the elderly. Does occupying a floating basket that travels up to 30km high sound like an activity to the elderly to you? No freaking way! 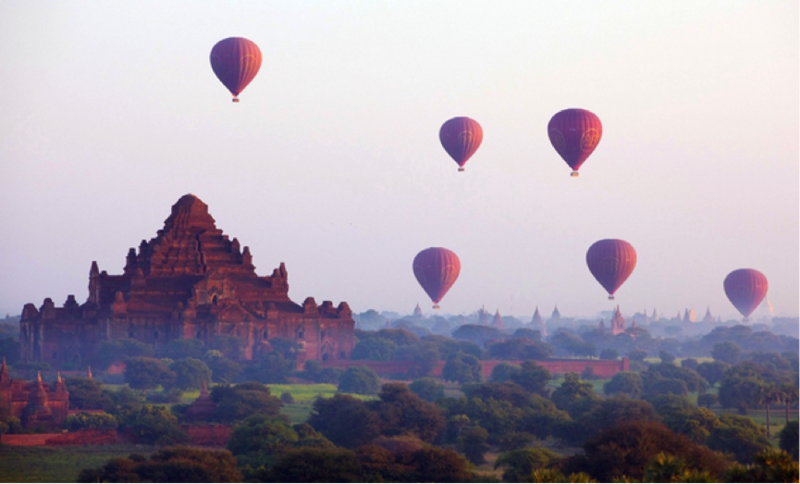 If you can manage to drag yourself out of bed, a sunrise hot air balloon flight over Bagan, Myanmar (picture above) is sure to be an adventure travel experience like no other! Air, we need it to live. It is the essence of our blah blah blah! Air gives us wind. And wind gives us something equally awesome. Sailing! For centuries adventurous souls have taken to the high seas leaving it up to the gods of wind to decide where they go. Although it is often considered a past time for the rich and famous, sailing can be enjoyed by any adventure traveller no matter their budget! One of the world’s most beautiful sailing destinations is the Gulf of Thailand. 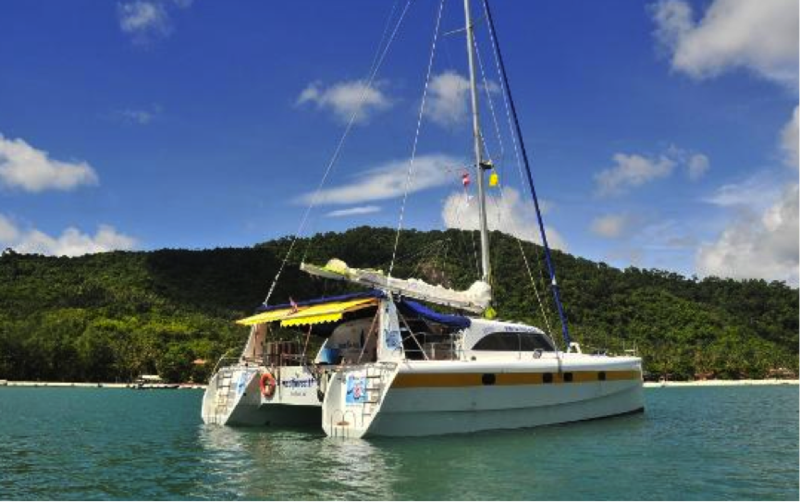 If sailing the Thai Islands on your own time with your own boat sounds like the kind of thing you would be interested in, check out AdventureHoney’s Private Sailing Koh Samui experience. So we’ve given you a tease…what’s your best air, water, earth or fire experience? It’s where travellers go online to safely search and book the best adventure tours & activities on Earth – direct with local operators. So what are you waiting for?